This was DeJa Skye’s response when I introduced myself. 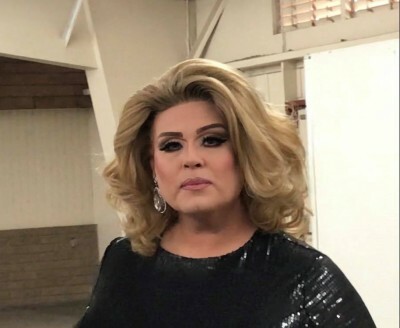 Tall, curvaceous, immaculately dressed and extremely personable, she described herself as “a man in a dress who loves to put on makeup in the morning.” DeJa Skye is a drag queen, and I was attending Fresno’s First Drag Festival. 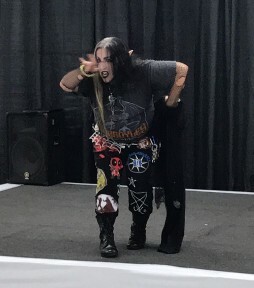 Once upon a time, an event that featured men and women convincingly dressed to appear as the opposite gender would have been viewed as shocking by those outside the LGBTQ community. Today, television shows like RuPaul’s Drag Race have revealed drag for what it really is: an art form that is taken very seriously. It requires skill, talent, dedication, and a touch of humor in order to succeed, not just makeup and awesome clothes. Drag isn’t a new thing. It isn’t even a product of modern times. Shakespeare is often given credit for using the word as a description for cross-dressing. Who am I to doubt the Bard of Avon? Once something that was celebrated in secret, drag became more familiar to the general public in the 1980s with films like Hairspray, Tootsie, and Victor/Victoria. When RuPaul, in all her flawlessness, burst onto the scene in the 1990s with her hit songs and TV shows, drag did its own crossing over into the mainstream. It may come as a surprise to some people to find that drag shows have been happening in Fresno on a regular basis for over fourteen years. The festival’s keynote speaker, Diva Xotica, is the hostess of Fresno’s longest running drag show and offered words of wisdom from her twenty-two years of experience as a drag queen. “There are all different kinds of drag. What is important is to love what you do. Being nice goes a long way. Being mean is not a selling point.” She may be referring to drag, but her words could apply to any field, with or without the high heels, big hair, and strategically placed padding.? 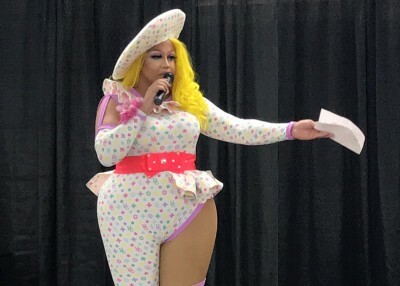 The drag queens and kings I spoke to were open about, and happy to discuss, their personal experiences in the world of drag, offering overwhelming praise of their families for their unconditional support. Janessa James, classy in a purple ’60s era dress with full skirt and petticoats, came out twenty years ago. “My family is behind me one hundred and ten per cent!” Her grandmother styled her hipster-short hair (unlike most drag queens, Janessa doesn’t wear a wig), and her two young nieces accompanied her. San Francisco drag king, Donny Mirassou, who won the crowd over with his otherworldly, goth/punk send-up of Billy Joel’s “You May Be Right,” credits his parents for encouraging him to try drag when he was thirteen-years-old. “They saw Victor/Victoria and said ‘See? Girls can do that too!’ and I was on my way.” His drag persona is named after his beloved grandfather, a prominent businessman in northern California. My name is Mallory Moad. Don’t be a drag – just be your own kind of beautiful, every day.